So imagine that you're God — way back. Before the beginning of time. Way before there was anything. No planets, no stars, no universe. Just an endless void. So what do you do if you're an all powerful God? Well, if you're the God of theoretical physicist Alan Lightman's fervid imagination, you become.... "bored." And what does this God decide to do to relieve his boredom? 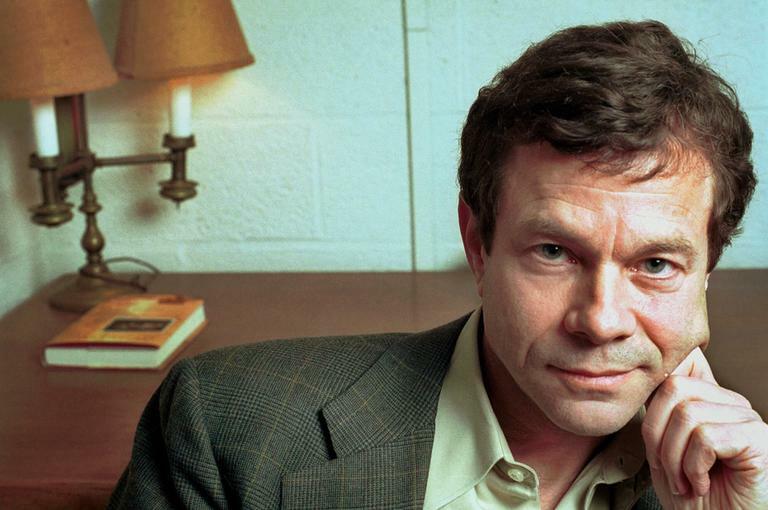 Alan Lightman joins us in studio to explain. Alan Lightman, Theoretical Physicist at MIT; author of several books, including Einstein's Dreams. 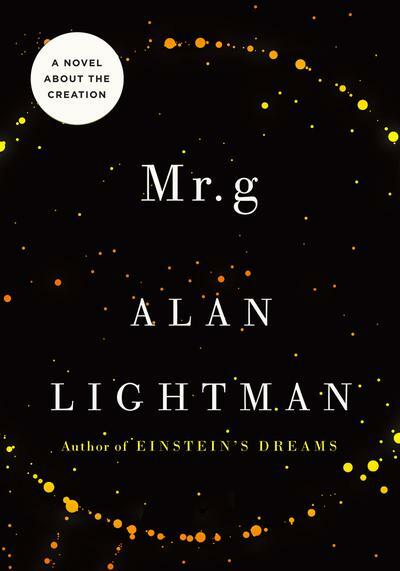 His new novel is called "Mr. g."
As I remember, I had just woken up from a nap when I decided to create the universe. Not much was happening at that time. As a matter of fact, time didn’t exist. Nor space. When you looked out into the Void, you were really looking at nothing more than your own thought. And if you tried to picture wind or stars or water, you could not give form or texture to your notions. Those things did not exist. Smooth, rough, waxy, sharp, prickly, brittle—even qualities such as these lacked meaning. Practically everything slept in an infinite torpor of potentiality. I knew that I could make whatever I wanted. But that was the problem. Unlimited possibilities bring unlimited indecision. When I thought about this particular creation or that, uncertain about how each thing would turn out, I grew anxious and went back to sleep. But at a particular moment, I managed . . . if not exactly to sweep aside my doubts, at least to take a chance. Almost immediately, it seemed, my aunt Penelope asked me why I would want to do such a thing. Wasn’t I comfortable with the emptiness just as it was? Yes, yes, I said, of course, but . . . You could mess things up, said my aunt. Leave Him alone, said Uncle Deva. Uncle toddled over and stood beside me in his dear way. Please don’t tell me what to do, retorted my aunt. Then she turned and stared hard at me. Her hair, uncombed and knotted as usual, drooped down to her bulky shoulders. Well? she said, and waited. I never liked it when Aunt Penelope glowered at me. I think I’m going to do it, I finally said. It was the first decision I’d made in eons of unmeasured existence, and it felt good to have decided something. Or rather, to have decided that something had to be done, that a change was in the offing. I had chosen to replace nothingness with something. Something is not nothing. Something could be anything. My imagination reeled. From now on, there would be a future, a present, and a past. A past of nothingness, and then a future of something. In fact, I had just created time. But unintentionally. It was just that my resolution to act, to make things, to put an end to the unceasing absence of happenings, required time. By deciding to create something, I had pressed an arrow into the shape- less and unending Void, an arrow that pointed in the direction of the future. Henceforth, there would be a before and an after, a continuing stream of successive events, a movement away from the past and towards the future—in other words, a journey through time. Time necessarily came before light and dark, matter and energy, even space. Time was my first creation. Sometimes, the absence of a thing is not noticed until it is present. With the invention of time, events that had once merged together in one amorphous clot began to take shape. Each event could now be enveloped by a slipcover of time, separating it from all other events. Every motion or thought or the slightest happenstance could be ordered and placed exactly in time. For example, I realized that I had been sleeping for a very long time. And near me—but I couldn’t say how near, because I had not yet created space—Aunt Penelope and Uncle Deva had also been sleeping, their loud snores rising and falling like something or other, their tossings and turnings unfolding in time. And their interminable bickering could now be identified with moments of wakefulness, which in turn could be understood as taking place between periods of sleep. I refused to think how much time I had wasted. In fact, we had all slept in a kind of pleasant amnesia, a swoon, an infinite senselessness. In various ways, had we not luxuriated in the unstructured Void, unaccountable for our actions? Yes, unaccountable. Because without time, there could be no reactions to actions, no consequences. Without time, decisions need not be considered for their implications and effects. We had all been drifting in a comfortable Void without responsibilities. See, my aunt complained when it became apparent that we were now conscious of time. I told you that you would mess things up. She shot Uncle a look of disapproval, as if he had encouraged me to act as I had, and then she began an unhappy summary of the various things that she had done and not done during the immediate past, then during the past before that, and so on, back and back through the now visible chasms of time, until Uncle begged her to stop. You should never have created the past and the future, she said. We were happy here. See, now I must say were, when before . . . Oh! There it is again. It was nicer when everything happened at once. I can’t stand to think about the future. But don’t you think that we have some responsibility to the future? I suggested. 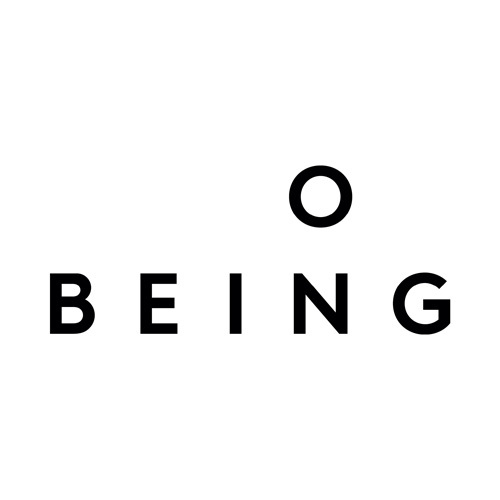 To all the things and beings I might create? Non- sense, shrieked Aunt Penelope. What a foolish argument. You have no responsibility to things that don’t yet exist and won’t ever exist if you could just keep your big thoughts to yourself. But it’s too late now, she went on. I can feel time. I can feel the future. She had gotten herself into one of her states, and the Void twisted and throbbed with her displeasure. Gently, Uncle caressed her. For the first time ever, she responded to his touch. Her ranting diminished. Soon after, she realized that her hair needed combing, and that was the beginning of something and probably all for the best. Copyright © 2012 by Alan Lightman. Excerpted by permission of Pantheon, a division of Random House, Inc. All rights reserved. No part of this excerpt may be reproduced or reprinted without permission in writing from the publisher. This program aired on February 7, 2012.